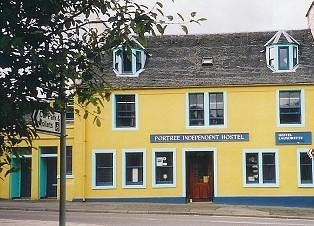 The Portree Independent Hostel, the converted Old Post Office in the centre of Portree, the island's largest town, is an ideal touring base. 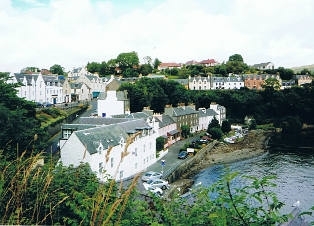 The hostel is within walking distance of pubs with live music, fish restaurants, supermarkets, news agency, the harbour for boat trips, hill walks and much more. 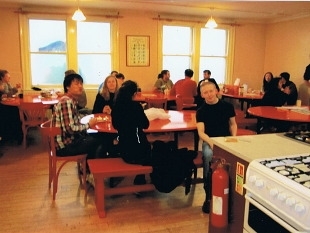 The hostel is within 50 metres of the bus stop from where buses leave for Inverness, Glasgow and island tours. 10% discount on bookings of 20 or more. Singles and small groups welcomed. 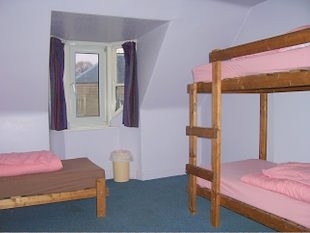 This 60 bunk bed hostel retains many of the features of the Old Post Office such as the old clock, post office counter, poste restante and mail shute. 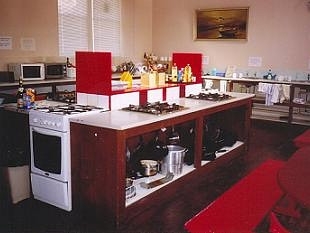 The kitchen/diningroom will seat up to 30, the kitchen is well equipped with microwave, gas cookers, deep freeze, fridges. 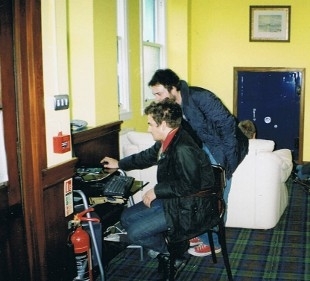 The lounge has TV and a video player, the coin operated laundry has 5 washing machines and three dryers. Showers are available for non residents and are well used by the sailing fraternity. 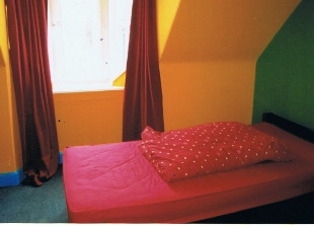 tariff; £16 - £17 pounds Mixed dorms. All male/female dorms on request. Category 3 VS disability badge. Matti, the Manager, can give advice on the best walks and local places of historic interest.